← 7 Bear Mountain Trail ~ PRICE REDUCED by $275,000!!! Elk Ridge Cabin ~ Under Contract!!! The Elk Ridge Cabin we have listed in the Elk Ridge Estates outside of Tie Siding, Wyoming is now under contract! 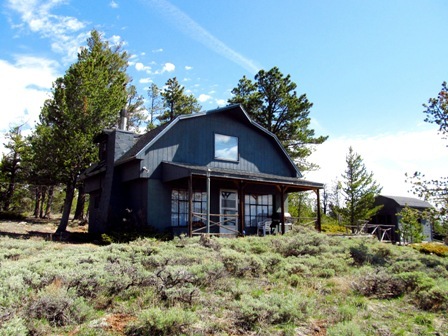 This cozy 2 bed, 1 bath cabin sits on 2.88 acres and is close to the Roosevelt National Forest. There are lots of wildlife in the area and the cabin also features power, well & septic. To see more about this great getaway that is 25 miles from Laramie, Wyoming and 60 miles from Fort Collins, Colorado CLICK HERE.